From the pioneer town of Mountain View to the bustling streets of Little Rock, this beautiful state has all sorts of reasons to celebrate! 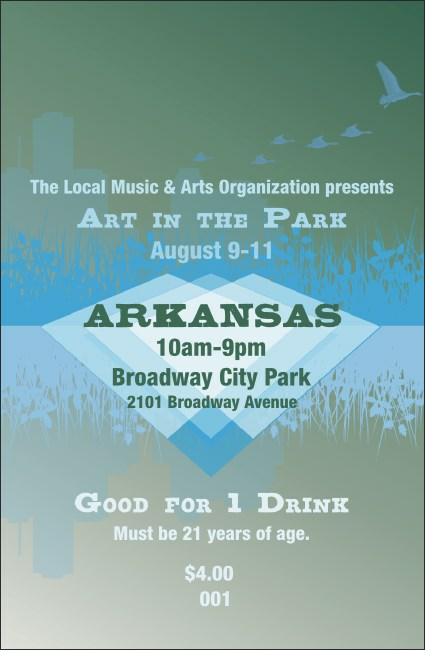 At your next event, keep your guests hydrated with the Arkansas Drink Ticket. Each is individually numbered and printed in color. Look for more matching promotional materials in the design gallery at TicketPrinting.com.